Headquartered in Seattle Washington, Bonanza.com is a fastest-growing online marketplace consisting of over 15 million products where online store owners offer almost everything from Isometric sunglasses to Bieber perfume. Bonanza is a beneficial company, which used by many online sellers and shoppers located in almost every country in the world to sell the products of every category. Mostly, it is well known for their unique collection of crafts, fashion, vintage and more. CedCommerce Woocommerce Bonanza Integration enables the WooCommerce store owner to list their store products on Bonanza. The store owner or admin can synchronize the orders, products, pricing, and inventory through establishing the interaction between the Bonanza APIs and the Bonanza marketplace. With this extension, the admin can manage the Bonanza orders on the WooCommerce stores without making any significant changes in the operational functionalities. After installing the extension, the merchant can create the Bonanza Categories and the dependent attributes on the WooCommerce store. The process enables the merchant to configure the desired product category into WooCommerce for automatic submission of the selected product to the same Category on Bonanza. Profile-based product Upload: Admin can create a profile and map the Bonanza category and attributes to the WooCommerce category and attributes, and then after assigning the products to the profile can easily upload products to the Bonanza Web site. Synchronized Inventory and Profile Based Pricing: Inventory Synchronization at regular intervals. products listing is established between WooCommerce and Bonanza. Profile-based price increase or decrease. Synchronized Product Editing: Besides adding the products, any product information changes made on the WooCommerce store reflects on the Bonanza. Automated Inventory Updates: No manual updating is required. Automatic inventory updates are available for the better management. Product Category Mapping: Follows many-to-one category mapping philosophy. Admin can map many categories of the WooCommerce store to the single category of Bonanza. 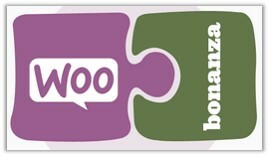 Updates Information: Changes made in the WooCommerce store reflects on the Bonanza Web site. Bulk Upload System: The merchant has the flexibility to upload any number of products on the Bonanza Web site using bulk product upload feature.